Are you curious about how leaders got to where they are today? What made them successful? Did they have the same pitfalls as me? Learn from the stories, struggles and successes of local, high level business leaders who are featured at each luncheon, gain exclusive access to a large group of other west metro business people and help support your community by learning about a TwinWest member nonprofit at each luncheon. Networking opportunities are available before and after! Megan Remark has over 25 years of healthcare experience working within integrated health care delivery systems. 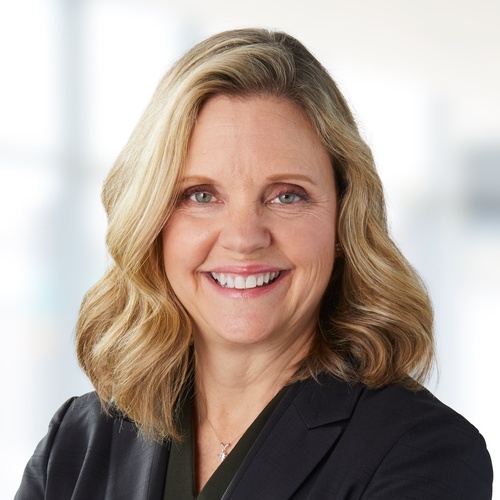 As an officer of HealthPartners, Megan’s accountabilities include President and Chief Executive Officer of Regions Hospital, and regional accountability for four medical centers located in Stillwater, MN and western Wisconsin. In her previous role as Senior Vice President, she provided strategic planning, business development and operational leadership to HealthPartners Clinics and Regions Hospital. Megan spent 10 years leading the HealthPartners Specialty Care Division which included 350 clinicians practicing in 25 medical and surgical specialties throughout the Minneapolis-St. Paul market. Megan received her undergraduate degree in Political Science and Public Administration at the University of Utah. She has an MHA from the University of Minnesota’s School of Public Health and an MBA from the Carlson School of Management. Megan currently serves on several community boards including CommonBond, LifeSource, Central Corridor Anchor Partnership, and Serve Minnesota, a Governor-appointed board that oversees the placement of AmeriCorps volunteers in Minnesota. Megan has been recognized as a leader in the Twin Cities community. She received the Minneapolis/St. Paul Business Journal 40 under 40 Award in 2008 for her outstanding leadership skills and was recognized again in 2012 by the Business Journal as an Industry Leader. Megan was also recognized by the Girl Scouts as a 2015 Woman of Distinction. Megan is originally from Las Vegas, Nevada. She has lived in the Twin Cities since 1989 and is married with two children.